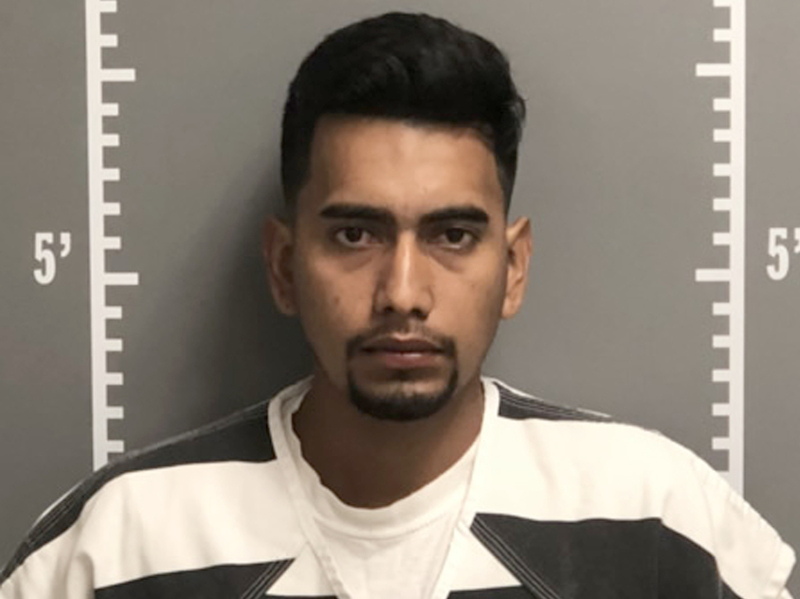 Mollie Tibbetts: Man Charged With Murder After Leading Police To Body Cristhian Bahena Rivera has been charged with first-degree murder. Authorities have not yet confirmed the identity of the remains. A poster for missing University of Iowa student Mollie Tibbetts hangs in the window of a local business in Brooklyn, Iowa. On Tuesday morning, 24-year-old Cristhian Bahena Rivera of rural Poweshiek County led investigators to a body covered in cornstalks in a field southeast of Brooklyn, Iowa. 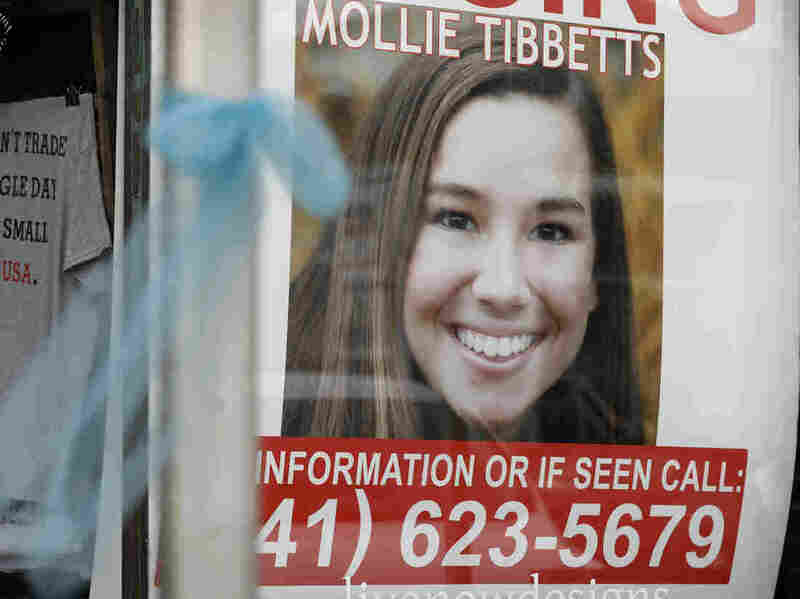 The city of 1,400 is Tibbetts' hometown and the last place where she was seen while jogging on the evening of July 18. Investigators have not yet confirmed the identity of the remains, but they believe them to be those of Tibbetts. Cristhian Bahena Rivera is being held in the Poweshiek County Jail, where he faces charges filed in the Poweshiek County District Court. Investigators say their search led to Rivera after they acquired surveillance camera footage that showed Mollie running, as well as the travel patterns of a vehicle believed to belong to Rivera. After reviewing the video, they determined that Rivera was one of the last people to see her running. In a press conference Tuesday afternoon, Iowa Division of Criminal Investigation Special Agent in Charge Rick Rahn said officers conducted a "lengthy interview" with Rivera, who then showed them where the body was. "After we got done interviewing Mr. Rivera, he led us to her location. And that location was near 460th Street, or Avenue, in rural Poweshiek County." According to Rahn, Rivera told officers that he saw Tibbetts running in rural Poweshiek County and that he approached her while she was running and "ran alongside of her or behind her." "At one point he tells us that Mollie grabbed ahold of her phone and said, 'You need to leave me alone. I'm going to call the police.' And then she took off running. He in turn chased her down and then he tells us that at some point in time, he blacks out," Rahn said. Investigators said Rivera told them he had seen Tibbetts before, but they would not comment on whether Rivera has a previous criminal history, whether he faced previous deportation orders or to what extent he may have known Tibbetts before allegedly abducting her. Rivera's attorney is disputing government officials' statements that he is an illegal immigrant. In interviews with reporters and in court filings, attorney Allan Richards said his client is in the United States lawfully. A spokesman for Immigration and Customs Enforcement in Iowa Shaun Neudauer said in a phone interview Wednesday the agency has probable cause to suspect the accused is unlawfully present in the U.S. "We feel reasonably confident" Neudauer said. Neudauer said ICE issued an immigration detainer request Tuesday. Immigration proceedings will follow after the murder case is completed. Even in a community where "everybody knows everybody," Rahn said that Rivera kept to himself and that investigators are looking more deeply into his background. "I know that he was working. Beyond that, I'm not sure what he was doing. Coming and going," Rahn said. Rivera is being held in the Poweshiek County Jail, where he faces charges filed in the Poweshiek County District Court. According to Rahn, prosecutors with the Iowa Attorney General's Office will prosecute the case. Iowa does not have the death penalty; first-degree murder charges carry the penalty of life without the possibility of parole. In the days since Mollie Tibbetts disappeared, a team of dozens of local, state and federal officers have fielded more than 4,000 leads and conducted hundreds of interviews. Rahn recognized the support of the community in embracing the Tibbetts family and in cooperating with investigators. Rahn said the discovery has been difficult for the family. "We get to know the family. We get to know Mollie," he said. "We just spoke to the family and I told them they raised a great daughter. I mean she was a phenomenal individual. So we are saddened for the family." Even before the body was found and charges were filed, the case of the 20-year-old University of Iowa student had reverberated far beyond the state. On a visit to Des Moines last week, Vice President Pence met with the Tibbetts family, telling them "you're on the hearts of every American." Since Tuesday's announcement, leaders inside and outside of Iowa are highlighting the fact that a man who is apparently in the country illegally has been implicated in the killing of Tibbetts. At a rally in West Virginia on Tuesday night, President Trump told the crowd: "You saw what happened to that incredible, beautiful woman. It should have never happened ... we've had a huge impact but the laws are so bad, the immigration laws are such a disgrace." "As Iowans, we are heartbroken, and we are angry," Reynolds' written statement reads in part. "We are angry that a broken immigration system allowed a predator like this to live in our community, and we will do all we can bring justice to Mollie's killer." Joe Gruters, a Florida state legislator and a co-chairman of Trump's re-election campaign in Florida posted on Twitter simply: "Time to build the wall." In a statement released Wednesday, Tibbetts' family said, in part, ""Our hearts are broken. On behalf of Mollie's entire family, we thank all of those from around the world who have sent their thoughts and prayers for our girl. We know that many of you will join us as we continue to carry Mollie in our hearts forever."